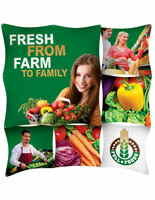 This trade show display graphic is designed to steal the show! 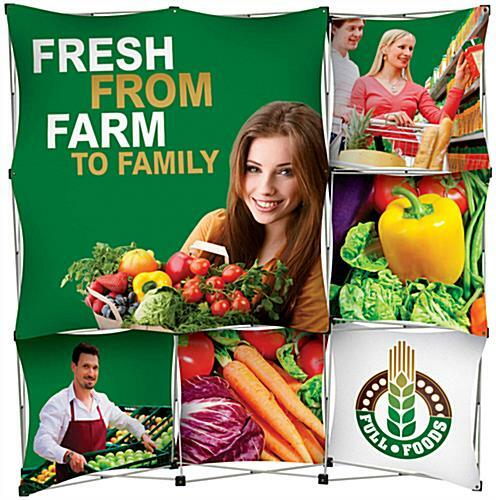 The large display is perfect for trade show events, home, garden or wedding expos, on-site appearances or promotions, college or job fairs, sales meetings, conferences, fairs, wine tastings, travel agencies or shows, and much, much more. 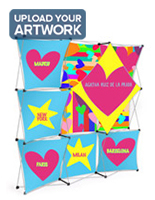 Use trade show display graphics to advertise a new exhibit at a museum, or to attract patrons to a newly opened art gallery. 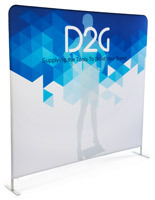 Possibilities are endless with a unique and eye-catching marketing and advertising tool, such as a pop-up trade show exhibit. 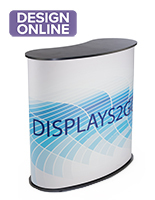 Forget paper ads, posters, small point-of-purchase displays or brochures, this trade show exhibit will offer maximum returns! 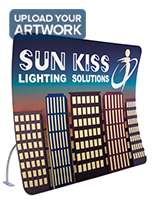 These trade show display graphics, also known banner stands, cannot be missed and is a perfect outlet for your creative advertising side! 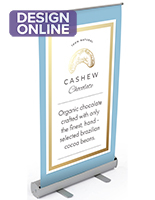 This portable banner stand, trade show display graphic is amazingly portable, weighing in at only 16.5 lbs (with graphics attached), and coming in a hard, rolling case. The exhibit ships to you with your customized 720dpi graphics already attached, so all you have to do is "pop" open the lightweight, silver aluminum exhibit frame and you're in business! 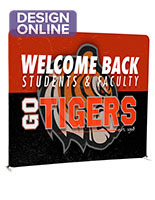 trade show display graphics featuress graphic panels crafted from fire-retardant material. 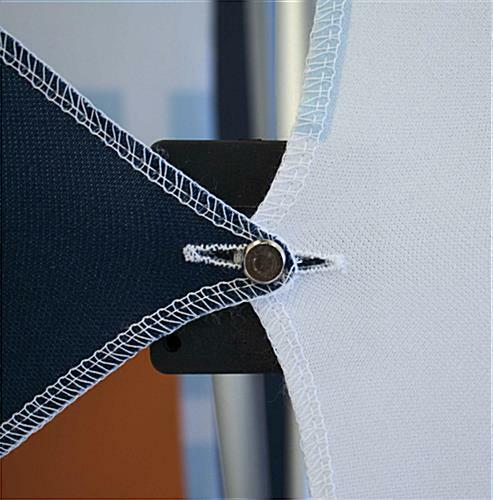 To setup your exhibit, have 2 people each pull up one of the frame corners (as shown). The trade show exhibit virtually sets itself up! 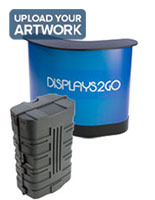 To disassemble, or fold down, your exhibit, push down from the frame's top corners. You can leave your graphics attached to the frame during storage or transport so you are ready to go at your next event! 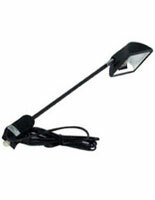 Be sure to check out our trade show light designed to coordinate with this series. Please Be Advised: Steady 2-Person Assembly Is Encouraged As The Spring Connectors May Cause Your Pop-Up To Open Quickly. Also, the fabric is a poly-stretch material, so when it is stretched out the color may have a faded look. 91.5" x 91.5" x 11.5"
8.0" x 8.0" x 31.0"
26.0" x 37.8" x 17.0"